If turquoise beaches and powdery white sandy beaches what you crave for, head south to this tranquil beach town of Mirissa for a healthy dose of Vitamin Sea. You won’t miss that holiday you spent on beaches in Thailand. Mirissa beach (left) as seen from the top of the Parrot rock. In the shadows of touristy beach town Weligama, lies the little beach haven Mirissa with its secluded turquoise beaches. Being a trending beach destination in Sri Lanka it has made a name for whale and dolphin watching, surfing, snorkelling, scuba diving and chilled nightlife. Oh, let’s not forget the restaurants that serve the freshly caught seafood and local curries. The government has put restriction over the construction near the beach hence Mirissa has been able to maintain the tranquillity of a small beach town vibe without those large resorts devouring the real estate. Also, you won’t find any annoying beach sellers around here which is a plus. 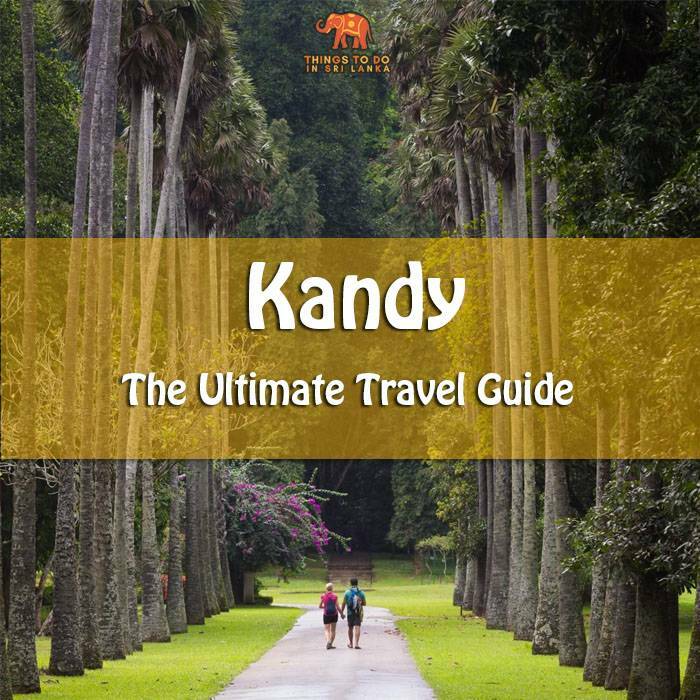 This small town is located 35 km to the east of Galle and 12 km to the west of Matara. It is the town next to the famous surfing town Weligama when traveling from Galle to Matara. The distance from Colombo is 150 km if you use the Southern Expressway. It is home to a fisheries harbor facing the Weligama Bay and fishing is the main livelihood of the people around here. 03 small bays can be identified in the shoreline and the Mirrissa beach is located in the larger one of these. Turtle Bay is ideal for snorkelling and watching turtles if you’re lucky. The train station in Mirissa is located a bit far away from the town and not many express trains stop there. 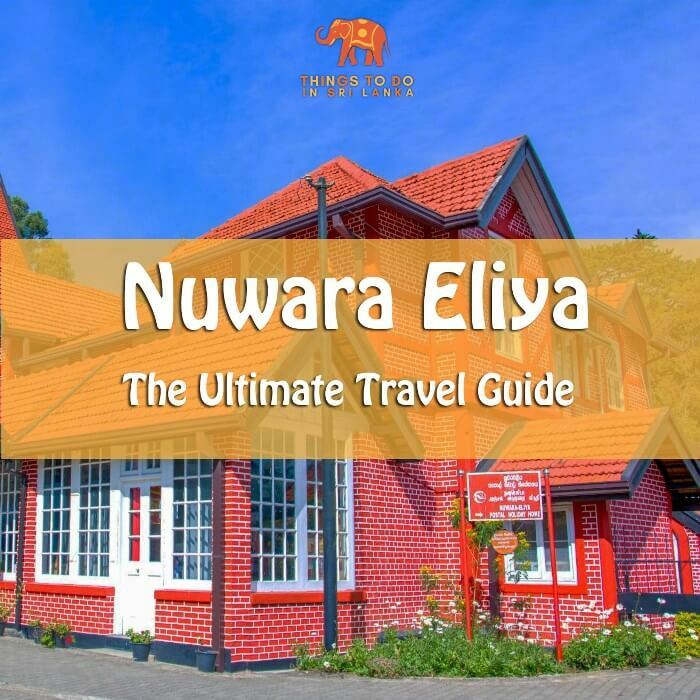 But not to worry, you can get off at nearby Weligama station and take a bus/tuk-tuk to the Mirissa town. (It’s just 24 Rs by Bus and around 300/= Rs for a tuk-tuk).You can take either Weligama-Matara bus or Galle-Matara bus for this 7km ride. 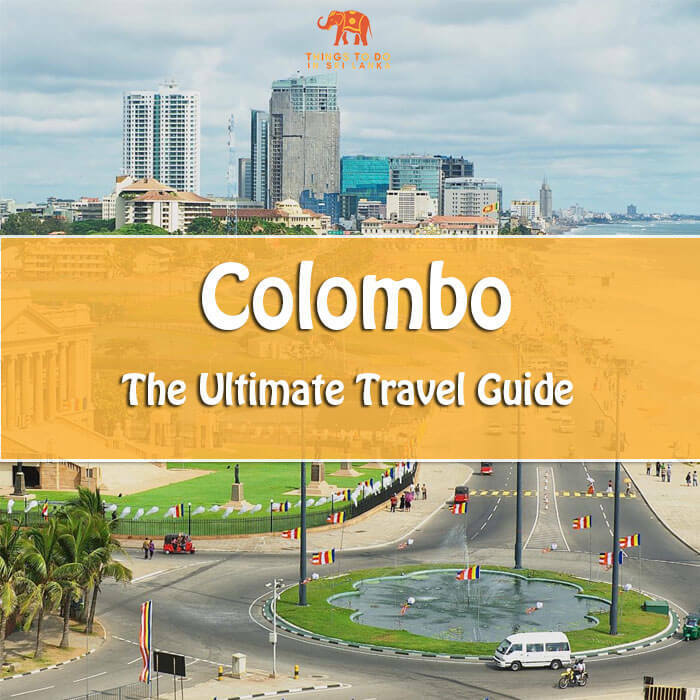 An express train would take 3 ½ hours to reach Weligama/Mirissa from Colombo. There are direct trains available to Weligama from Anuradhapura and Kandy at 05:00 am. Arrival times at Weligama station are 01:30 PM and 11:35 AM respectively. In addition to Express trains, there are slow trains starting from Galle as well. Please refer to the below schedule. Although listed for completeness, evening trains departing from Colombo (after 15:00) are jam-packed by the office crowd. Hence please schedule your departures before noon to avoid the hassle. It’s a nightmare traveling on evening trains even without baggage. Seat booking facility is not available for trains running on this line for some mysterious reason. Therefore seats are not guaranteed. Small Tip: Every train running on the coastal line starts/stops at Maradana station which is the station before Colombo Fort. Hence if you have enough time, get to Maradana by hopping on a slow train running that way or tuk-tuk. That‘ll increase your chances of getting a seat. It only takes 05-10 minutes to get to Maradana station from Colombo by train and 10-15 minutes by tuk-tuk. Trains to Matara usually stop at platform number 05 or 06. In both Colombo fort and Maradana stations. Any Matara (#02) or Tangalle (#32) bus will drop you at Mirissa. If your hotel is in the Mirissa beach area, get off at the Udupila junction bus stop. Both Normal buses (long ones) AC mini-buses are available at Fort main bus stand. These buses travel along the Galle Road and are prone to rush hour traffic. The journey time would be 4-5 hours depending on how insane the bus driver is and the time of the day. Normal buses tend to stop frequently along the way to jam pack more and more people in. AC buses also do that if there are vacant seats available. Sri Lanka’s first highway the Southern Expressway (E02), currently starts from Kadawatha (15 km from Colombo) terminating at Matara. There are AC luxury buses run on these routes. You can take one of the following buses to reach Matara and get to Mirissa thence (13 km). Although the cost is higher, these buses can reach Matara in about 02 – 02 ½ hours depending on the starting city. Buses used on these routes are largest and most comfortable kinds that are used for public transport in Sri Lanka. They have more leg space and luggage space. If you’re coming from Ella, There are direct buses to Matara (costs LKR 270) which run through Wellawaya, Hambantota and Tangalle. If you’re in Galle, Get to the main bus stand in front of the stadium. Galle-Matara buses stop at the centre area of the stand. Current ticket cost is just LKR 65.00 and will take about 01 hour to reach Mirissa. Taxis are available directly from the Airport terminal 24×7. This service is run by the Airport itself and charges are fixed. The cost for AC taxi to Mirissa as of now is LKR 12,850. (Check out the latest taxi charges). There are many other taxi services available to book online such as PickMe, Kangaroo Cabs. These services are available island wide and pretty reliable according to reviews. You won’t find many large hotels or resorts in Mirissa. The town consists mainly of small and medium level hotels and guesthouses. There are hotels right by the beach and also across the road. The places to stay in the landside are much cheaper. It is advised to book in advance, finding a place in a hurry would be difficult especially in the seasons. 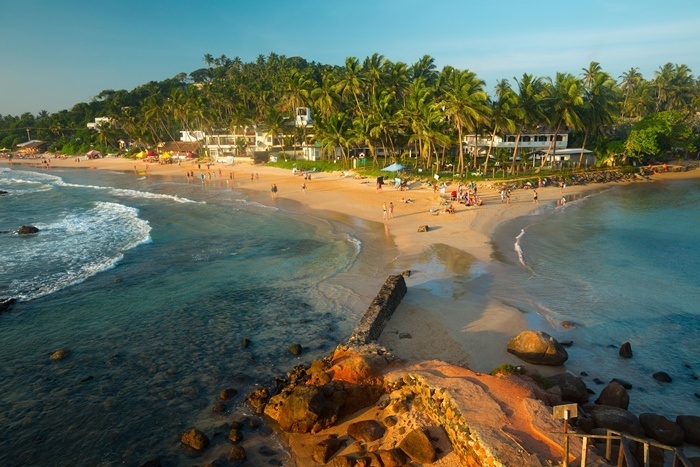 There are a few Luxury hotels in Mirissa such as Sri Sharavi, Edelweiss Resort which are located outside the town with their own private beaches. Mirissa beach is where you would want to be and the action is. You can get a decent room with a fab view without spending a fortune if you book early. The Hangover hostel is highly recommended if you’re on a tight budget and would like to chill with fellow travelers. Beach bars and restaurants are rampant along the beach to grab a cold one and chill in the evening and partying in the night. The government, however, took actions to demolish illegal joints recently, therefore, the places about which you read in reviews may not be available. December to February is the busiest season for Mirissa when the temperature is warm with a minimal chance of raining. It is also the most expensive time to travel. March to May is the slow season when the weather is warm but there is a higher chance of rain in May-June. July & August are also dry months and affords perfect sunshine. Coincidently whale watching season in Mirissa also falls in the busiest time November – April. So if you’re carving to get a glimpse at the blue giants, start booking early. So, you have a general idea about traveling to Mirissa now, check what to do and places to see.